Drive tent stakes into the ground with ease by using this attachment for pavement breakers and air hammers. It is compatible with breakers made by DeWalt, Makita, and Milwaukee. This Tent Stake Driver attachment has a 2 1/8" diameter round head for use on 2" or less diameter single or double-headed stakes. 1 1/8" shank size. Utilizing this attachment will significantly reduce your set up times for all party tents. 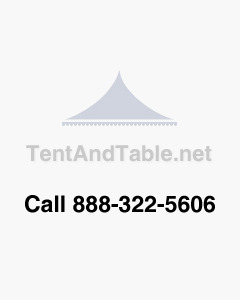 It is a must-have for party rental businesses.